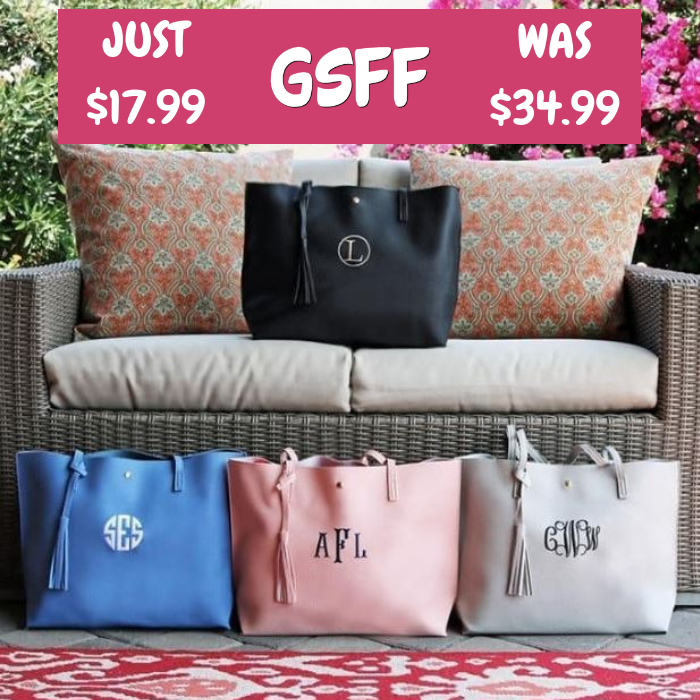 Personalized Tassel Totes Just $17.99! Down From $34.99! Shipped! You are here: Home / Great Deals / Personalized Tassel Totes Just $17.99! Down From $34.99! Shipped! Jane is currently offering this Personalized Tassel Totes for just $17.99 down from $34.99 PLUS FREE shipping! Grab your Krafty Chix EXCLUSIVE! You can’t find this gorgeous tote anywhere else! This is a best selling tote that is now offered in 7 colors. Personalize with your monogram. This is the perfect tote for you! It makes a great gift too!